I should probably start by saying that these cookies were the most spontaneous thing I ever did. No jokes. I’m not a spontaneous person at all. But it snowed yesterday, and nobody warned me. I know, someone should have said something. So I find myself getting home from work with a couple of inches of snow on the ground. All of my grand plans for the evening were cancelled. Instead, I slowly drove home, had some soup, and crawled into bed with my laptop. Honestly, that’s the only place to be when the weather is so nasty. Suddenly though, I realized that I haven’t posted anything on this blog since Sunday, and that was only a link to my guest post elsewhere. Which means that I decided it was time to make something new to post. So what if it was 11:30 pm, with too much snow on the ground to go to the store? I was going to bake some cookies! My initial plan was to peruse my many cookbooks and food magazines for some inspiration, but then I realized that thanks to the snow, I needed to bake based on what I had in my pantry. And just like that, I walked into the kitchen. No plan. No recipe. Just knowing I wanted to bake something. I opened the fridge to take out some margarine to bring it to room temperature (an important thing to do when baking cookies!) and saw some key lime juice. Aha, I thought to myself. Key lime cookies! Then I checked my pantry, saw some graham cracker crumbs, and my idea was completed. 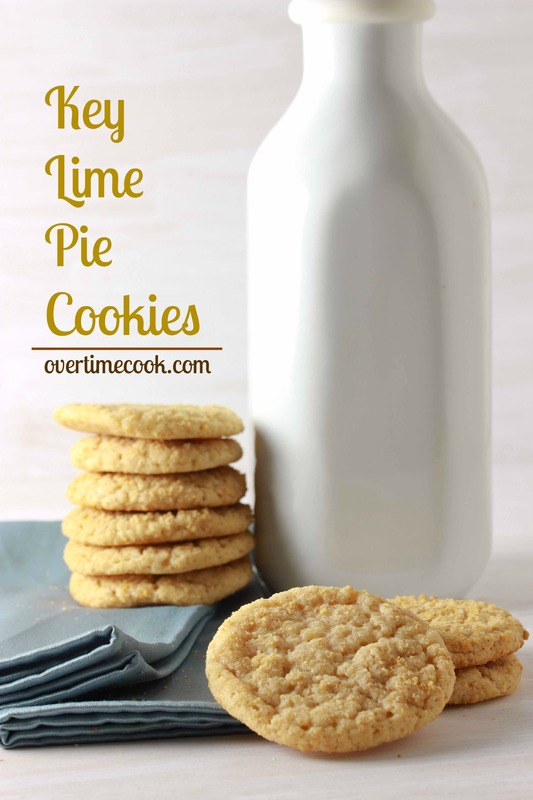 Key Lime Pie Cookies! And now I return you to our regular and very highly scheduled programming. About 1/3 cup additional graham cracker crumbs, for rolling. Preheat oven to 350. Line a cookie sheet with parchment paper (or lightly grease) and set aside. In the bowl of an electric mixer, cream together the butter or margarine, sugar and brown sugar until combined and fluffy. Add vanilla, egg and key lime juice, beating well to combine after each addition. In a separate small bowl, whisk together the flour, baking soda and graham cracker crumbs. Turn the mixer to low, and slowly stir in the dry ingredients. Beat just until the dough comes together. Use a medium cookie scoop (or a heaping tablespoon) to scoop out a ball of dough. Roll it in the remaining graham cracker crumbs to fully coat. Place on prepared tray. Repeat with remaining dough. Space cookies about 2 inches apart, to allow for spreading. Bake the cookies at 350 for ten minutes. Leave the cookies to cool on the tray for a couple of minutes, then remove to a wire rack to cool completely. *If you don’t have key lime juice, you can sub regular lime juice. These sound delicious! I have a delicious White Chocolate Key Lime Pie recipe if you are interested. Yum! I love the addition of graham cracker crumbs. 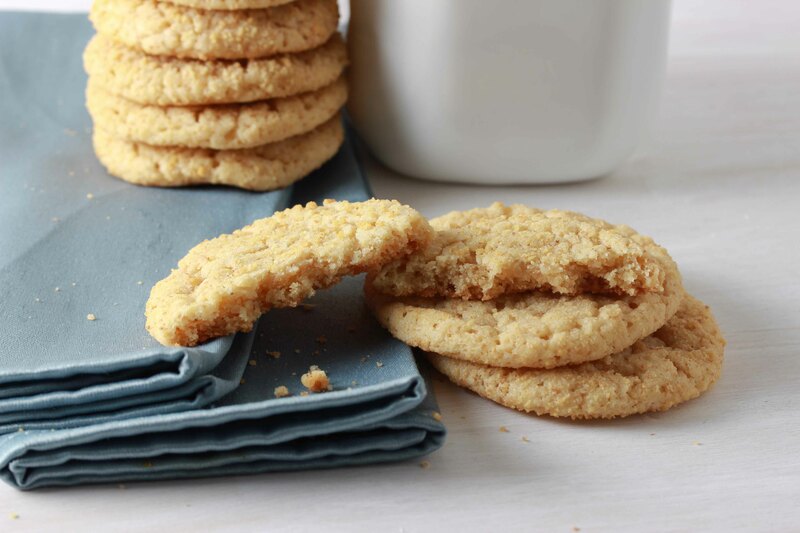 I made coconut-lime cookies for the holidays and they were terrific — lime is an underused cookie flavor! 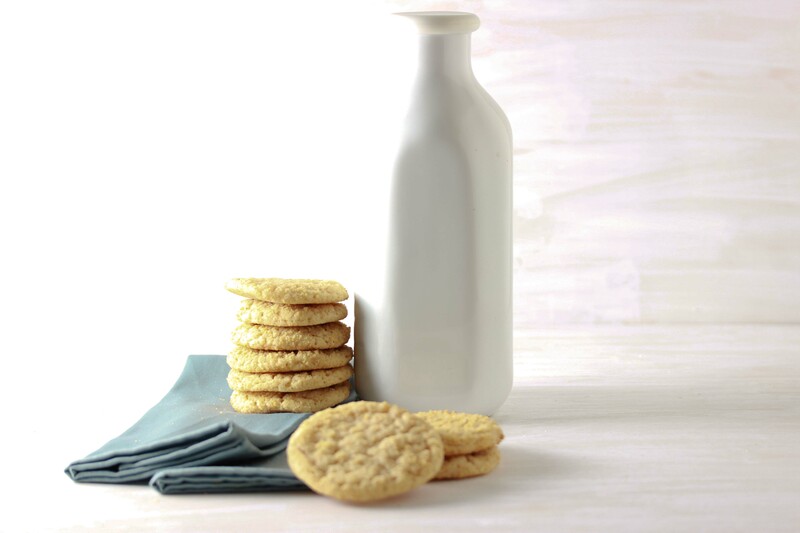 I’ve never seen key lime pie cookies with graham cracker crumbs in them. Such a fun idea. So margarine works fine in these cookies? I used to bake with margarine, but then I always had problems, so I switched to butter. I still have some issues, but I find the taste so much better. Just wondering since yours look perfect. Love how you decided to use graham crackers as well. That’s pretty original! They were delicious! Although, I did add white chocolate chips and maybe next time I’d use more lime juice so the flavor was a little stronger.